I've been away with the family in the heart of the beautiful English Lake District. We spent our time walking, taking in the views and breathing the fresh mountain air. 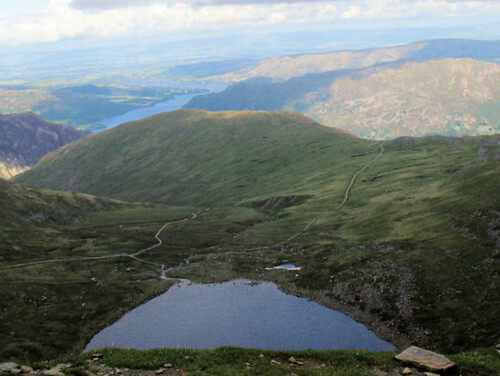 The big hike was up Helvellyn, the third highest peak in England. It took most of the day and involved some strenuous (for me) climbing. 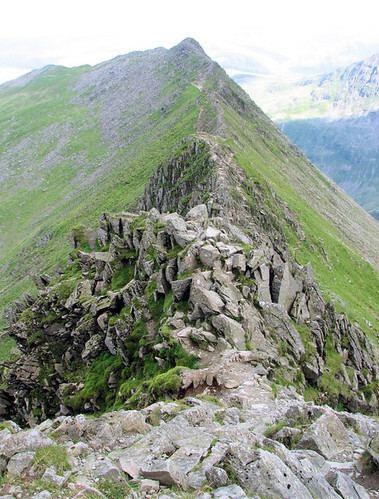 To get to the peak, you have to tackle Striding Edge. It's not for the faint hearted as you must scramble along the ridge and do a sharp descent at the end, before the final rocky climb to the summit. Ahhh, the view from the top! Back to the food tomorrow. Wonderful, Nic. I love the Lakes and well done to getting to the top! For some reason my google reader has not been picking up your new posts. WOW!!!!!! What great pics Nic. Nic, that last picture of the vista is just breath-taking. If you don't mind I will save it to my computer. So peaceful ! Thanks for sharing with us. I love the Lake District Nic. It's so beautiful there. I am in awe that you managed to climb all up all the way to the top of Helvellyn!!! That view sure looks worth it though! Wow, that looks absolutely spell binding. I felt like that when I was in Iceland recently. What an incredible view - and you really worked for it! Such wonderful views! I'm jealous. Wonderful! What a beautiful place. So nice that you got out to see some pretty sites. Thank you for sharing. The Lakes are a lovely place to visit Nic! Absolutely stunning pics! Looks like a wonderful place to relax and regroup! Wonderful! How beautiful... My older siblings visited there when I was a teen and I was so sad I wasn't allowed to go with them. Thanks for the gorgeous pictures. Sylvie - thanks and I surprised myself I must say! Chris - thanks so much! Sticky - it truly is! Raquel - we did have a lovely time! Marie - it was hard, but oh so worth it! Grace, CollyWolly and LyB - it is certainly breathtaking, but you don't have much breath left after the hours spent getting up there! Farida, Aran and Dragon - thanks! Robin Sue - the lakes are so beautiful, but it is also a really rainy area! Jan - do you go up often? Valli - how exciting for them! There are some terrific places to go while there, make sure they take their rain jackets!! Alexa - oh that's too bad. I hope you get to go one day. What a wonderful view! Really breathtaking. The climb looks pretty hairy, I have to say - I'm most impressed. Oh.My.Gosh. Stunning. Reminds me a bit of when I lived in Colorado. Oh how gloriously lovely! My parents have both walked the Striding Edge. It's one of the most dangerous places in Britain as the weather can suddenly close in when you are half way along. 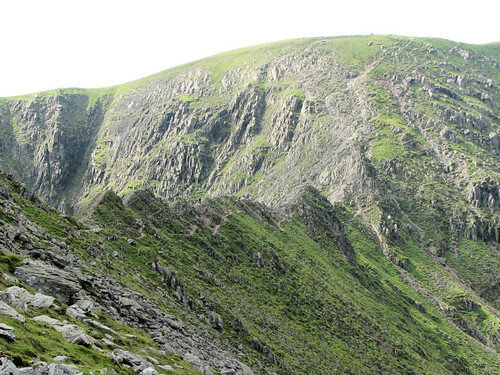 A woman died last week after falling from the Sharp Edge on Blencathra. Looks like you chose a day with much better weather. I remember climbing Helvelyn a few years back, the views are fantastic, I was knackered by the end though! I love your pictures they're fantastic, thanks for the nice comment on my blog. Antonia - it is hairy in some places! Ann - my brother lives in Co. and I know how fabulous it is there! Kevin - it sure is! Trig - Our weather was pretty good. I read about the woman, that's awful. We did the walk at the bottom of Blencathra and had to help a walker who had slipped off the Sharp Edge. Jeanne - they really mean it! Sam - welcome to my blog. thanks so much for your comment!